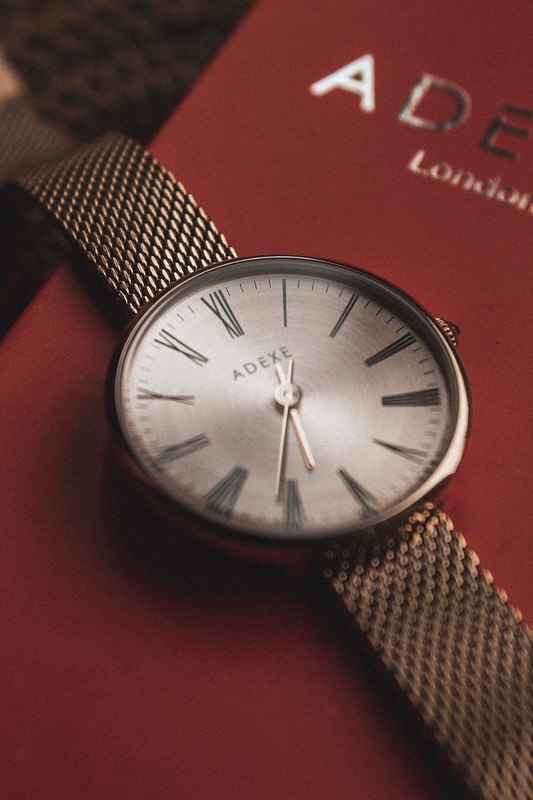 It’s no secret that I love accessories, so when ADEXE contacted me about trying out one of their new Miniature Sistine watches I jumped at the chance. I’ve admired ADEXE watches for a long time now, I love the range of styles and how minimalist the faces are. 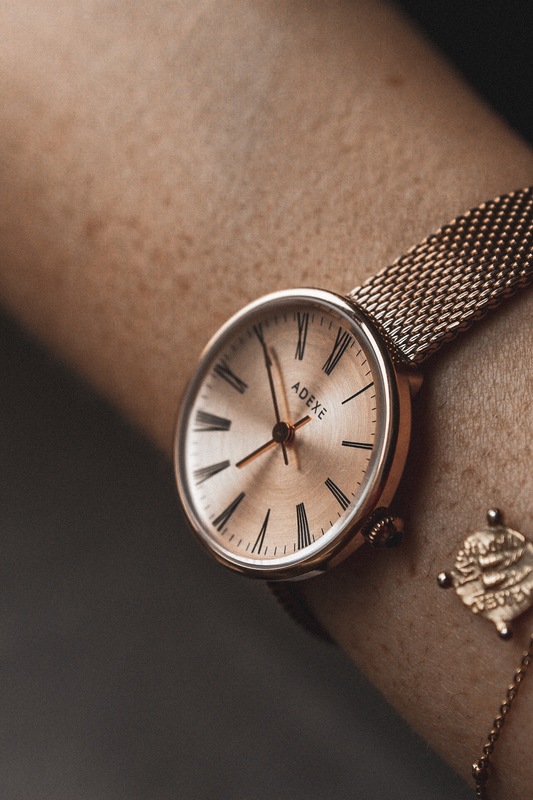 When I heard about this range it sounded absolutely ideal for me, I don’t love bulky watches because I feel like they look strange on my wrist, so the fact that these are daintier is absolutely perfect. For context, the original Sistine watches are 35mm, whereas these are 30mm. Not only is this range slightly smaller, they also have a lower price point, starting at £79. They come in two styles, either genuine Italian leather or stainless steel – I went for the stainless steel option as I love the look of the mesh band. There are also a wide range of colours available, meaning you can really customise this watch to your style! 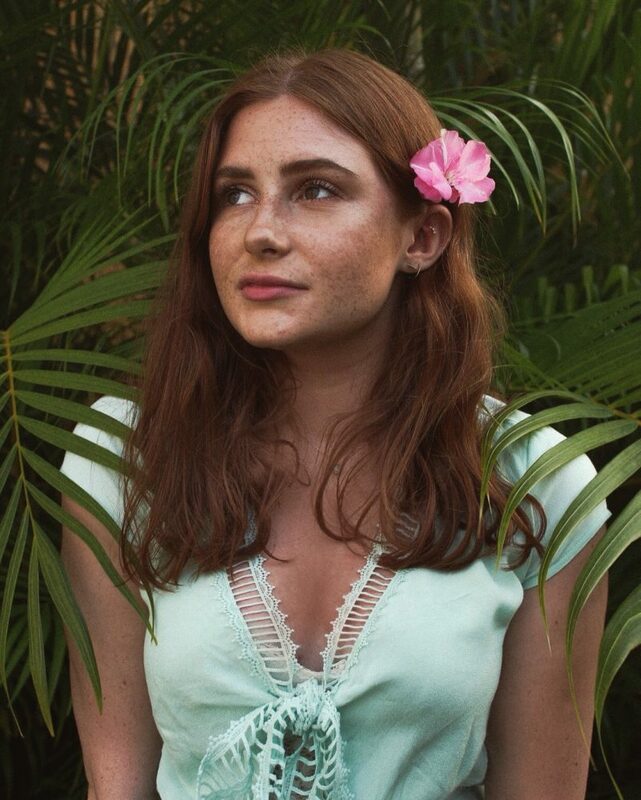 I chose to get the rose gold option, which I feel is absolutely perfect for spring/summer, and I find that this is the perfect rose gold without leaning too pink. I also find that the metal strap and the daintier size makes it perfect for stacking with bracelets. There is also a hidden gem on the crown of the watch, which adds a little extra something special to the piece. I really love that the watch is waterproof up to 30m too, meaning you can wear it on holiday and not have to worry about taking it off for the pool. 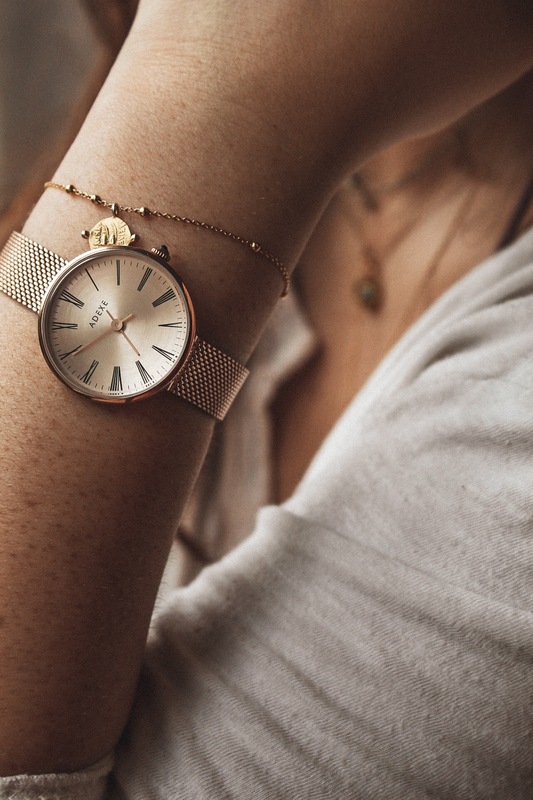 I’m absolutely in love with the style of this watch, it’s so delicate and beautiful! I was a little concerned at first that the mesh strap might feel a little uncomfortable, but it’s actually super soft and completely moulds to your wrist. It’s also hand-made with I think is awesome! The Miniature Sistine range is so stunning, I honestly can’t find a single fault! If you fancy getting a watch from this new range, you can shop the entire collection here. *This post contains PR samples, for more information please read my disclaimer.